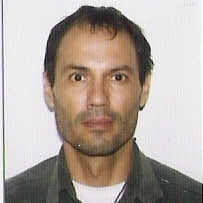 Arnulfo Ramos-Jimenez is currently associated with Department of Basic Sciences at Autonomous University of Ciudad Juarez, USA. His research interest focuses onTherapy and Community Physical Activity, Lipids and Energetic Metabolism, Kinanthropometry.His international experience includes various programs, contributions and participation in different countries for diverse fields of study.He has a wide range of publications in various national and international journals. Therapy and Community Physical Activity, Lipids and Energetic Metabolism, Kinanthropometry.